This monograph contains a short introduction explaining the properties and classification of coal, together with a description of the weights and measures used in the past; sections on the geology and coalfields of England, Scotland and Wales follow. 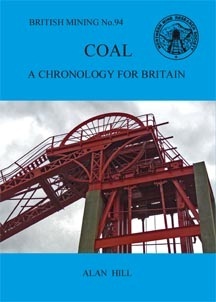 The main part of the work is a 188 page history of coal in Britain from the Roman occupation to the present day documenting the principal technological and political milestones associated with coal mining. The monograph includes many tables and 70 illustrations together with comprehensive production data and an index. Although intended as a work of reference, this should provide an interesting read for those interested in all aspects of mining.